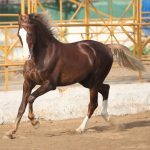 The Marwari Horse is a breed of royal historic horses that were created in India and showed their skills as war horses for centuries. 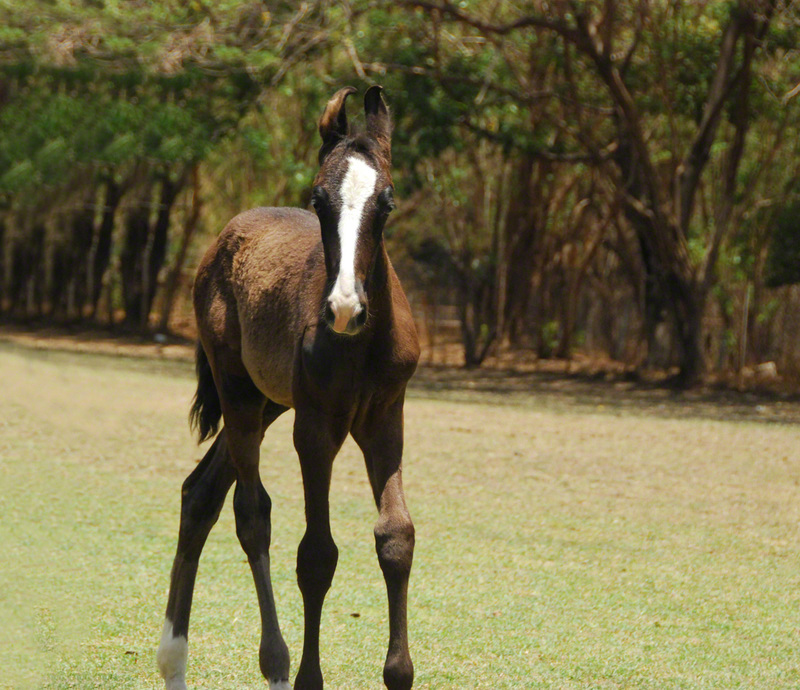 Famous for their beautiful features and ambling gaits, these are equines that trot with great style and lightness. 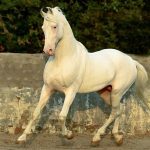 The horses are also known for their hardiness, and are genetically similar to the Kathiawari breed hailing from the same region. 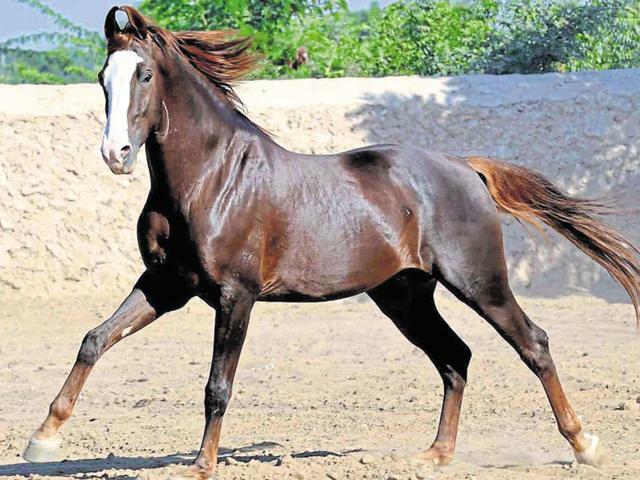 Presently, pure specimens of the Marwari horses are quite rare, while the government of India has taken necessary steps to improve their population. 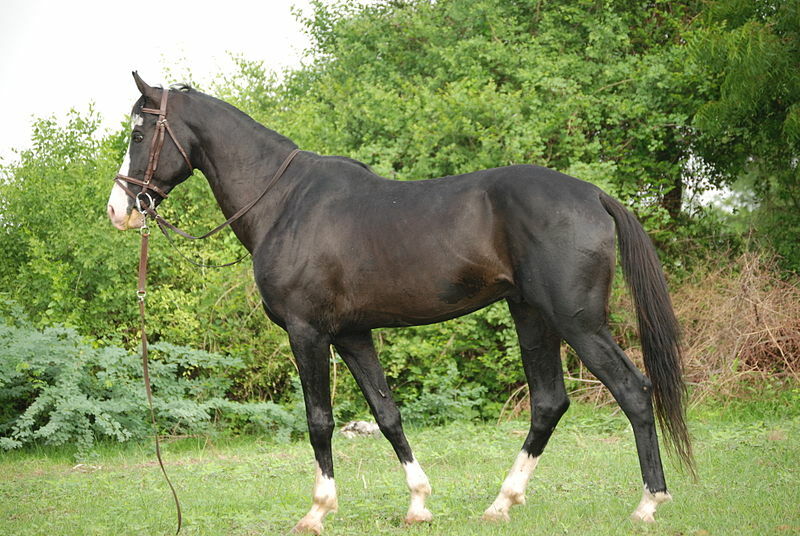 Feeding/Diet Normal horse diet like grass, hay, grains, etc. 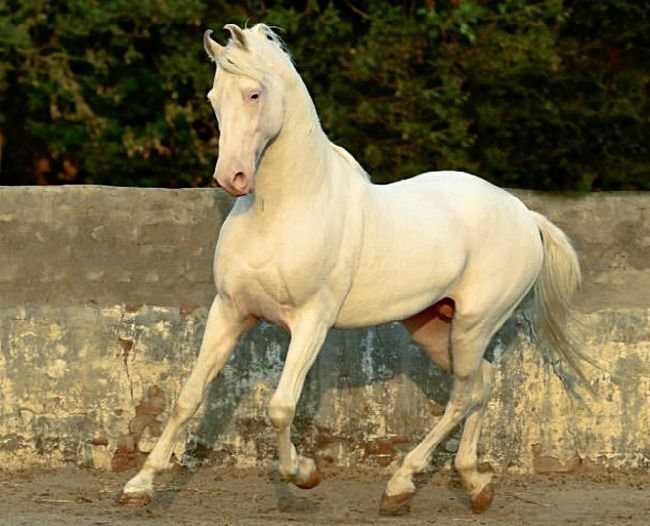 The Marwari Horse was created in India, though their exact origin is yet not known. 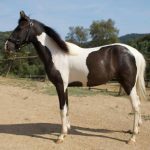 Genetic researchers opine that they had descended from the Arabian horses crossed with the native Indian ponies and might have some influence of the Mongolian horses as well. 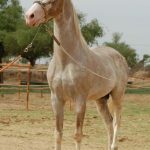 However, the Marwari horse share a common genetic structure with their fellow Indian breed – the Kathiawari, while both these horses seem to be carrying the blood of the Arabian breed. 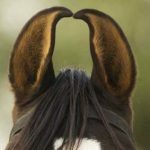 These horses carry some sign of pure blood since centuries, the sign of which is said to be reflected through its ear tips that are pointed inwards to the level that, in some, they even tend to overlap or touch each other. 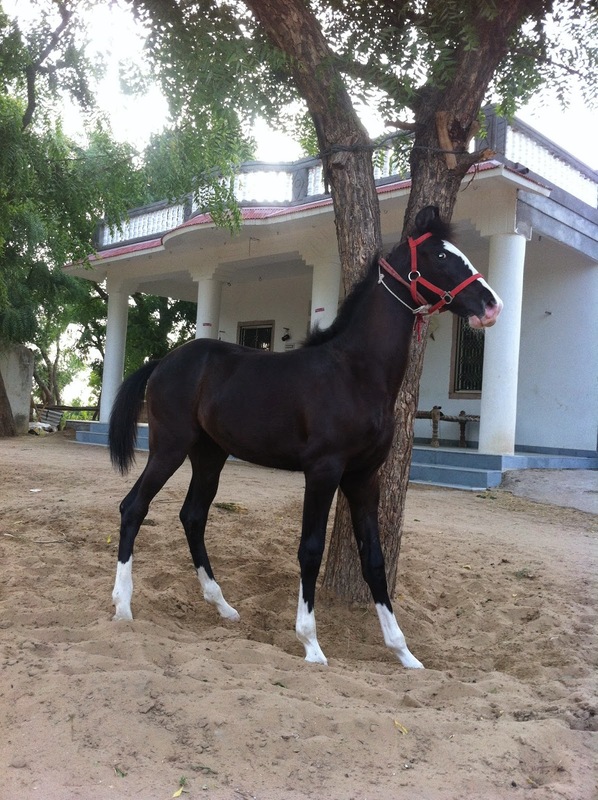 According to the traditional accounts, the Marwari horses were bred since at least the 12th century. The Marwaris were primarily war horses that were primarily created with the purpose of appearing in the historic battlefields when there was an urgent need of creating such an animal that can act as a hardy mount to the royals and the soldiers. However, other than as war mounts, they proved to be useful for other purposes to the people of the region. Historical accounts reveal that, in 1193, the Rathore clan of Rajasthan happened to lose their kingdom and took refuge to the remote areas of the region including the Thar Desert and the Great Indian Desert. 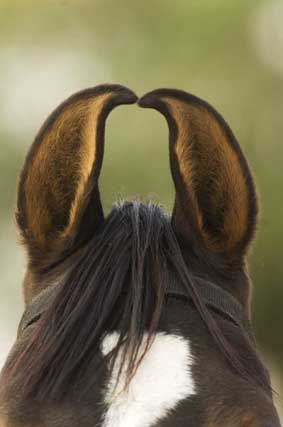 During this time, horses became a vital part of their life for traveling from one place to another. 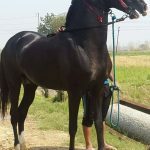 While the Marwari horse developed in the Rajasthan region of modern-day India, the people dwelling in that region were primarily Rajputs – the warrior clan. During the Middle Ages, these people were well-known for their cavalry regiments and skills, often getting engaged in wars with the outside forces including the Mughals. 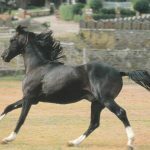 However, with the passage of time, when the wars were gradually getting over, the need for a suitable horse as cavalry mount was also on the verge of being over. 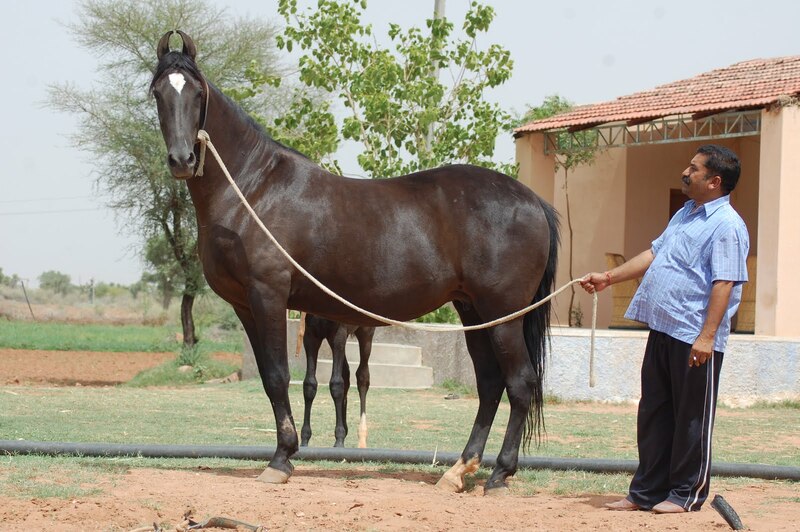 Resultantly, the demand for the Marwari breed began to experience a downward fall, creating a drastic change in their population. 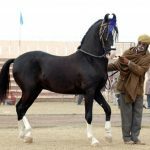 Long after, during the later British era in the early 20th century, nationalist people belonging to the region began to reconsider their dwindling numbers and took the initiative in the revival of the breed. Thus, with constant efforts, the line was somehow rescued from being completely extinct. 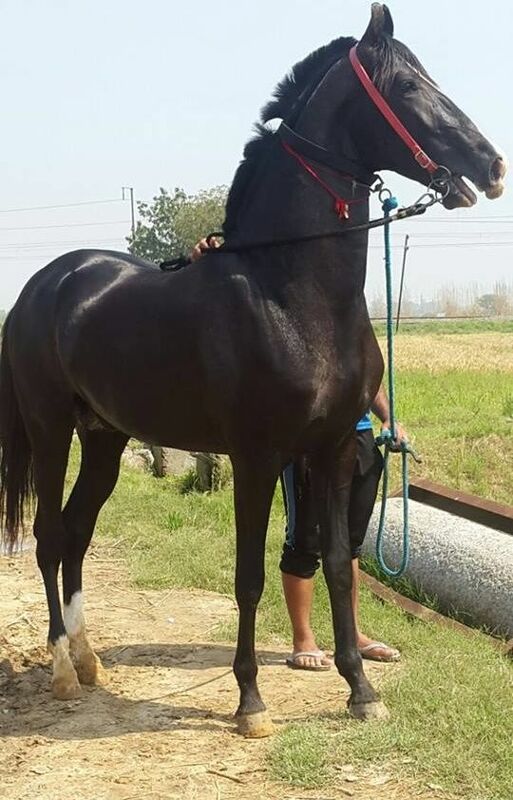 With the end of the British rule, the number of these horses became somewhat stable. According to a government survey, there were around 500 to 600 individuals remained. Though this number was relatively higher than what the scenario had been, a temporary ban under a 1992 biological conservation pact was introduced in order to prevent them from being exported. 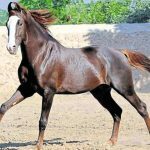 Soon after, an association in Chopsani, in Rajasthan’s Jodhpur named the Marwari Horse Breeding and Research Institute was established. 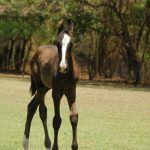 The institute conducts different educational programs to promote, improve, and maintain these horses and register them with financial aids from the present-day Indian government. 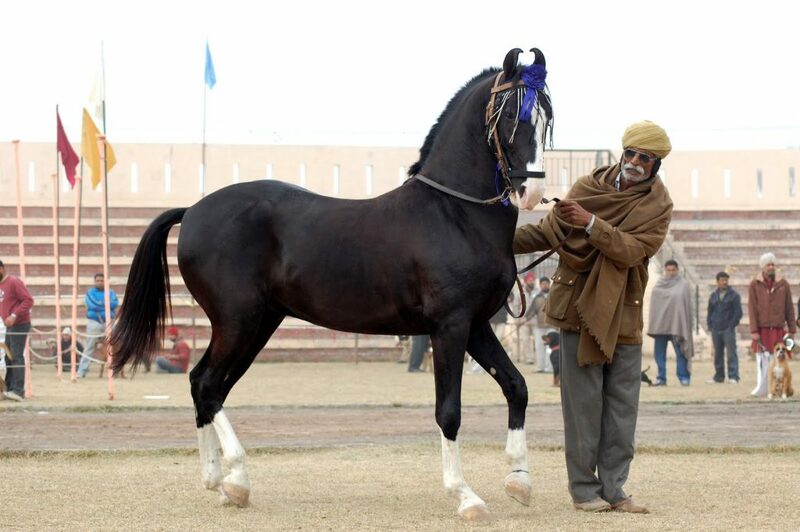 A famous Sanskrit epithet about a unique feature of the Marwari horse is about its neck – Mayura Greeva, which means, having a ‘proud, arched neck like a peacock’ (interestingly, peacocks are also common in the region). 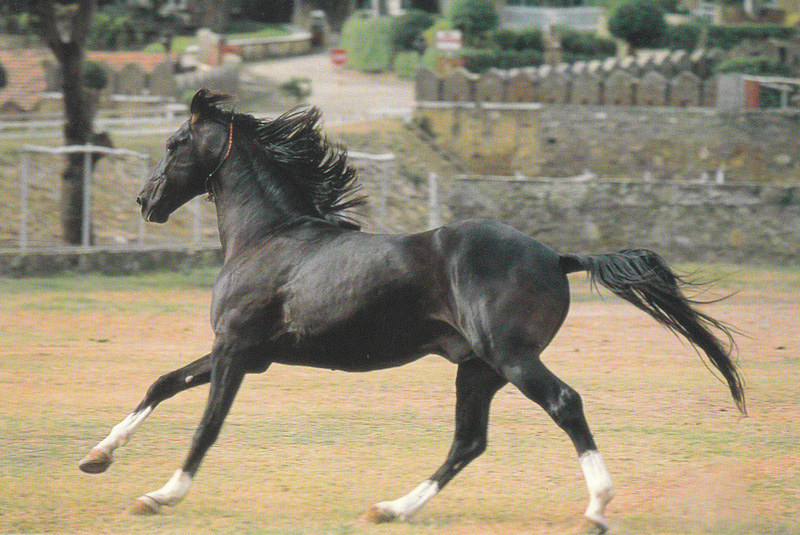 A few of the 20th century notable Marwari horses were Nagraj, Alibaba, Alishan, and Adam. 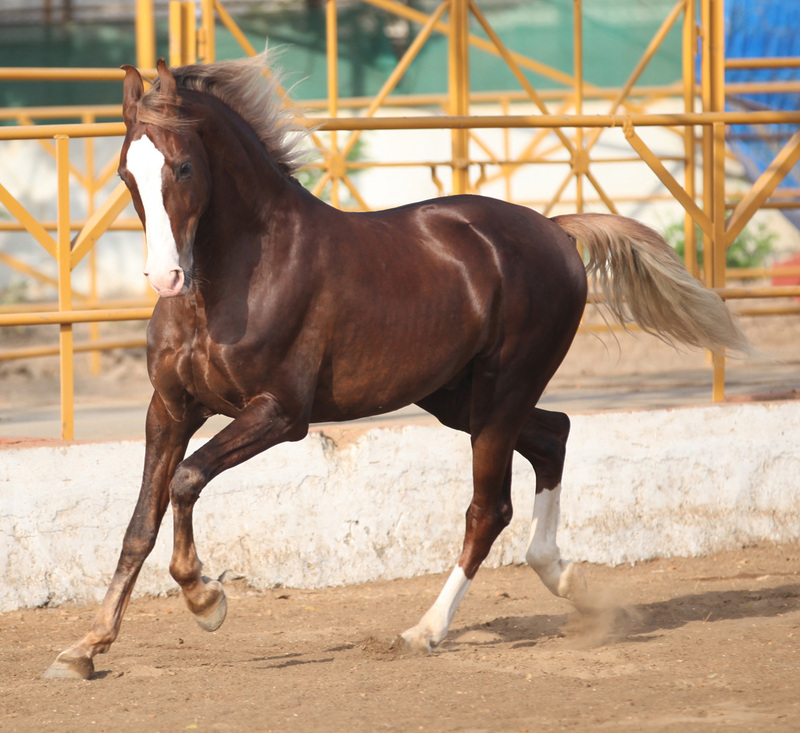 The Marwari horse gets its name from the historic ‘Marwar’ region of Rajasthan, in the western-most corner of India. 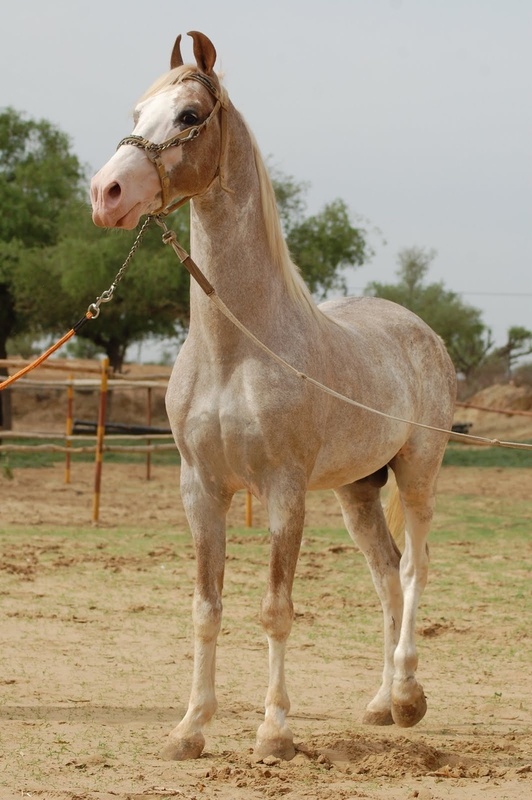 Marwari horses were directly associated with the then-prevailing caste system of the country. 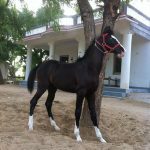 This means that people, other than the warrior class (Kshatriyas and Rajputs), were not permitted to ride the Marwari horse. 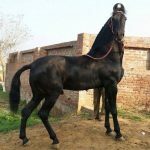 In the rural regions of Rajasthan, the horse is often trained for ‘dancing’ on many occasions, marriages and festivals that take place throughout the year.